Save Money & Improve Your Credentials By Going Green! A few years ago, every business was promoting themselves as ‘going green.’ However, in 2017 we are not seeing the same levels of marketing for ‘green’ business, whether it be for reduced energy and water consumption, or an increase in renewable energy and recyclable ‘green’ products. The question is being asked whether this was all just a short-term marketing strategy? Well the mindset of today’s society dictates that this wasn’t just a clever marketing ploy – attitudes and behaviours have changed and people have become more environmentally aware. Environmental responsibility is something that we, as consumers, have come to expect from businesses. Today it is standard for organisations to incorporate ‘green’ business practices and it is frowned upon when consumers discover otherwise. Whether it’s fast-food chains using sustainable, organic washroom products, restaurants using chemical-free commercial fly control products, or supermarkets offering re-usable shopping bags – green business is now seen as the norm. Smart Businesses are Green businesses, and even smarter businesses are always keen to be even greener. The implementation of some earth-friendly green practices can cost money up front. However, the savings from these practices can save you huge money over time, by cutting energy and water bills. For example, if you were to install an Envirocare Systems Greenheart waterless urinal, you would reduce your water bill by up to 98% or more! As explained earlier, consumers now have an expectation for companies to have some level of green initiatives implemented within their organisation. From their perspective as consumers, a company providing green products, or using green services, is considered responsible and caring. As a general rule, ‘green’ companies tend to have a lot more credibility than businesses who have not introduced any green practices. For example, if a café were to switch plastic coffee cups for Envirocare Systems’ bio-cups, consumers would feel that they were making a more responsible, informed purchase decision. Similarly, given the choice, most office staff using a company coffee machine would opt for a recycled cup which is bio-degradable, as opposed to a standard plastic cup, as people are becoming increasingly environmentally aware. Many of these Green initiatives can improve the efficiency of a workplace, resulting in happier staff and possibly even happier customers. Envirocare Systems’ Greenheart office hygiene products and washroom accessories are completely free from harmful chemicals. Not only is it reassuring and a comfort to know that you’re not breathing in chemicals used in conventional washroom products, but the use of gentle and toxic-free products may also help employees who suffer from respiratory and other health conditions. In addition to these organisational-level benefits, the most important benefit of going green is that it helps the environment. When businesses cut energy spend and reduce land-fill waste, it reduces the amount of carbon dioxide released into the atmosphere. 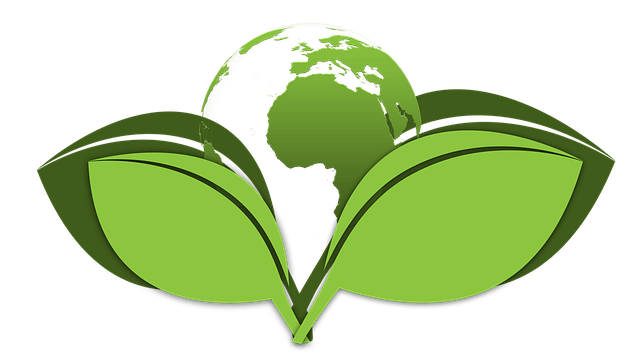 Envirocare Systems is in the business of helping businesses go green – literally! Our slogan is ‘Clean & Green at heart.’ Our washroom products are all environmentally-friendly and sustainable, being 100% made from biodegradable materials, while our Greenheart waterless urinal conversion packages turn off water in flushing urinals and save up to 98% of all water usage. Not only do the recycled paper products we supply help to protect natural habitats and preserve wildlife but as a business, we are proud to contribute 1% of our products to Bush Heritage Australia. Bush Heritage Australia is an organisation dedicated to safeguarding our national biodiversity through the protection and management of over one million hectares of protected country. So if you are a smart business wanting to go green, get in touch with us today to find out how we can help!